Gaither senior Sebastian Greico hits a second inning solo home run to centerfield. The dinger was Greico's third of the season. TAMPA – Gaither senior Jordan Williams was upset with himself after failing to get the bunt down twice for his team in key situations of a tight district game against King. So, the speedy Williams was looking to just get things started in extra innings, charging through the bag with his head down for a leadoff single. He kept his head down, cruising into second on a Derek Crum sac bunt, reaching on a King error, then motored on to third and scored the deciding run as another error cost the Lions in a 3-2, Cowboys walk-off win in the eighth. Senior Roy Peguero took over on the mound for Gaither (12-5, 6-1 in Class 7A-District 8) in the sixth, working three shutout innings, allowing just two walks and striking out three. The big righty improves to 4-1 on the season and said his team came through behind him, especially after allowing the walks in the eighth when second baseman Ruben Espinal started a double play, flipping the ball to shortstop K’Wality Williams, who then ended the inning and the threat with a throw to first baseman Adison Dubin. 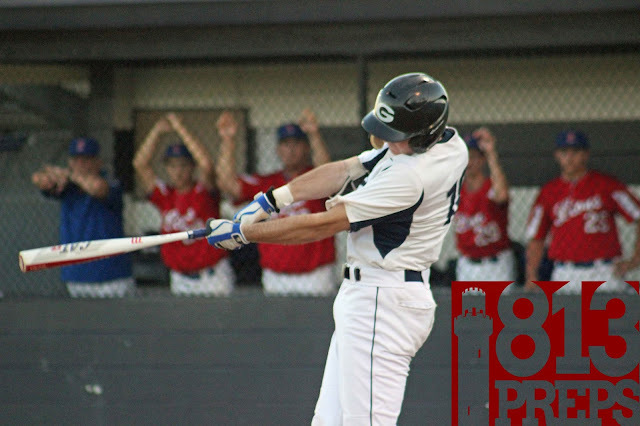 Gaither got on the board in the second inning when senior Sebastian Greico sent his third home run of the season over the centerfield wall. King (4-14) took the lead with a pair of runs in the fourth, one on a Zarrian Brinson RBI groundout and another on a Cowboys error, but the advantage wouldn’t hold as Willie Jackson dropped a single into shallow right field scoring K'Wality Williams in the sixth, which pushed the game to extra-innings. 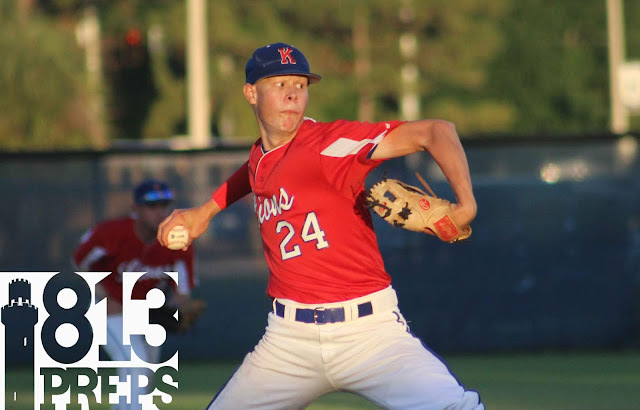 King junior pitcher Zan Rose pitched six innings in a no-decision, allowing two runs and striking out six. The Lions got a quality start on the mound from junior Zan Rose, who struck out eight, allowing two runs across six innings on the mound, and King got two hits each from Micah Lindsey and Will Marquart. Gaither pulls into a draw with Leto at 6-1 in district play, as the two teams split against each other – each losing home games. Both teams have one remaining district game with the Cowboys hosting Chamberlain on Thursday and the Falcons taking on King at home this week.